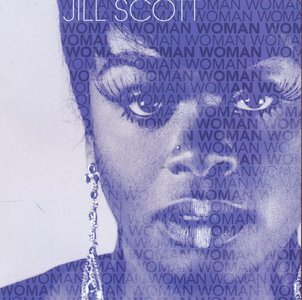 Woman is three-time GRAMMY award-winning singer-songwriter Jill Scott's fifth studio album. The thought provoking titled album is coming off the heels of Jill’s latest singles, “Fool’s Gold” that debuted on May 11th and is currently #7 on Billboard R&B charts and the critically acclaimed, “You Don’t Know”. Executive produced by the vocal powerhouse herself alongside producer extraordinaire Andre Harris (“Long Walk Home” & “Is It The Way”) and Nashville great Aaron Pearce, Jill is describing the sound of this album as “classic Philly soul meets Country rhythm served with impeccable and captivating storytelling”. After the 2011 album The Light of the Sun, Jill Scott advanced her acting career with roles in Steel Magnolias, Baggage Claim, and With This Ring. She also transferred her Blues Babe label from Warner Bros. to Atlantic and worked on her fifth proper studio album. A month ahead of its release, just after the second single reached the public, Hidden Beach just happened to issue Golden Moments, a compilation of highlights from Scott's "Words and Sounds" era. Should there be a second Jill Scott anthology, several cuts from Woman would make for obvious selections. The early singles – a wailing update of Jerry Ragovoy's deep gospel-soul composition "You Don't Know Nothing About Love" and the relaxed breakbeat-propelled resignation of "Fool's Gold" – are among the high points. Third single "Closure," produced by David Banner and Andre "Dre" Harris with references to Curtis Mayfield and Larry Graham, is among Scott's funkiest and funniest songs. The way she dismisses a lover – she addresses him like a pet – should be as remembered as any given line from "Gettin' in the Way." Other standouts are the result of smart pairings with younger talent. For the tranquil ballads "Lighthouse" and "Cruisin'," Scott teams up with fellow Philadelphian Andrew Wansel, the son of Dexter Wansel, while the 9th Wonder-produced "Beautiful Love," full of snaking keyboard lines, is a duet with BJ the Chicago Kid, too fine to be placed last on an hourlong album. Woman is so varied that it resembles a compilation itself, albeit one that's scattered in both sound and quality. More than any other Jill Scott album – each one is either nearly or well over an hour in length – its impact would likely deepen with some trimming and resequencing. Nonetheless, there's enough high-quality content to sustain Scott's status as one of the most unique and powerful voices in R&B.